Are forecasts of a 2014 global temperature record believable? Based on NOAA figures for August 2014, Discover magazine posted an article online on September 19 with a headline making a dramatic forecast that, “With Summer’s Unequalled Warmth, 2014 is Likely to Finish as the Warmest Year on Record for the Home Planet“. AOL ran a piece on October 20 making the same forecast, this time backed with an extra month of NOAA data and the support of a claim by a NOAA scientist that “it’s pretty likely” that 2014 will see the global average temperature record broken… for the years since records began in 1880. Climate scientist Roy Spencer begs to differ in his blog post titled “Why 2014 won’t be the warmest year on record“. Dr Spencer prefers the UAH satellite data record, pointing out that it, as opposed to NOAA’s adjusted and patchy thermometer data series, the satellite data provides a truly global and objective measure of temperatures. 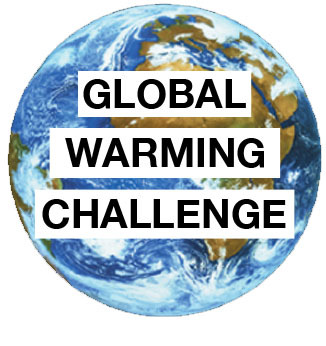 The Global Warming Challenge uses the UAH series as the measure for determining who will win the Armstrong-Gore bet for that reason. We will post the outcome of the Spencer-NOAA conflicting forecasts when the data are finalised early in 2015. The September 2014 data showed a small lift in the global mean temperature to an anomaly of 0.3°C. Still a win for the month to Professor Armstrong and the Green, Armstrong, and Soon no-change forecast, temperatures have been cooler than Mr Gore and the IPCC’s alarming projection for 20 months in a row. Overall, global mean temperatures have come in cooler than the alarmist projection 80 percent of the time since the beginning of the bet nearly seven years ago.